Yoga and coconut oil are pretty much a match made in heaven. No, we’re not just talking about lathering up your skin after a good hot yoga session. Our coconut oil-based MCT drinks are inspired by our founder’s studies of Ayurveda, a discipline rooted in the same ancient systems of Indian knowledge as yoga. As it turns out, Wonder Fuel and yoga have a lot more in common than their shared ancestry. MCT’s are the perfect way to fuel your yoga practice, whether you’re building a better handstand or practicing your pranayama. Even novice yogis know the benefits of yoga go far beyond simple stretching. The mind-body benefits of gentle movement paired with deep, rhythmic breathing are what keep most of us coming back for more. But what happens when you can’t get your head into that blissed-out meditative space? The MCT’s in coconut oil can help. Research indicates MCT’s improve cognition in patients with Type 1 Diabetes and Alzheimer’s Disease. And we know from strong anecdotal evidence that MCT’s improve mental clarity and focus for people of all ages. Plus, MCT’s help you skip the glucose spikes and crashes known to cause brain fog—nothing but clean, sustained energy to help you get in the meditation zone. Once your mental energy is running high from a boost of MCT’s, you’ll likely notice the physical benefits of burning fat for fuel. Even if you aren’t running fully fat-fueled, there’s plenty of value in ditching sugary energy bars and drinks in favor of a cleaner source of energy: fat! Glucose, or the energy source found in carbohydrates, is a pretty unreliable source of energy. Sure, it gives us a quick initial boost, and it’s certainly useful during high-intensity exercise. But for lower-intensity yoga, carbohydrates simply aren’t ideal. Even an intense yoga class probably won’t require you to tap into your body’s carbohydrate stores in the same way as a set of sprints or spin class. Instead, burning through fat can give us sustained energy to move into that tricky pose or lift gracefully into a headstand. Fat is a different type of fuel, and depending on its structure, can provide the same quick burst without the crash. MCT’s (a medium chain fatty acid) can bypass our body’s typical digestion process and help us move more quickly into ketosis, a state where we burn fat for fuel. They’re easily absorbed and quickly translated into energy. Usually, it takes our bodies some time to adjust to a fat-burning state. MCT’s help us work around this process, making them a perfect alternative for those of us who like a little wiggle room. Next time you’re tempted to reach for an energy bar, consider the mind-body benefits of MCT’s instead. 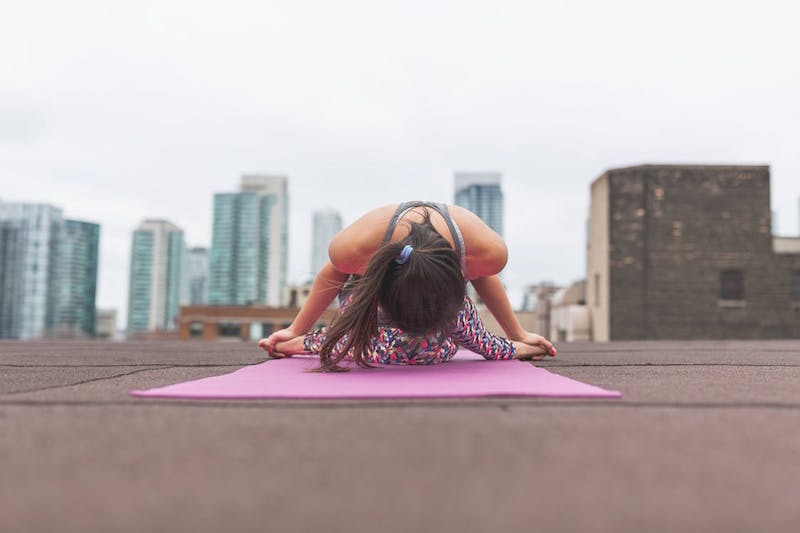 From mental clarity to physical energy, Wonder Fuel’s MCT-based drinks can help you take your yoga practice to the next level. No matter your age or ability level, it’s the perfect way to get incredible cellular energy any time of day. Grab your mat and a bottle of Wonder Fuel and get ready for a more wonderful practice!